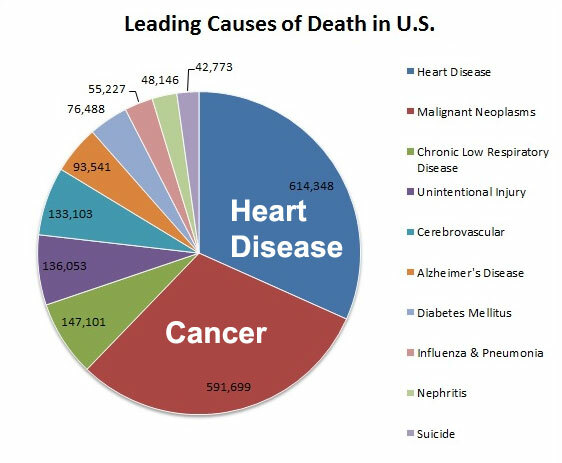 The biggest health epidemic that Americans don’t know about is killing us! Obesity is the most preventable cause of death that not many people know about because the statistics are manipulated to focus on other categories and not specifically target the actual cause of death. For example, 50% of diabetes related deaths can be attributed to being overweight or obese. 20% of cancer victims get cancer from poor eating habits and well over half of all heart attacks result from the victim being overweight or obese. In other words, the doctor is noting the final cause of death and not actually noting the true cause of death. There is no doubt that the number of deaths attributed to obesity and being overweight is double or triple the 300,000 reported deaths per year! We could be looking at close to a million people dying each year either directly, or indirectly, due to health issues caused by obesity. There is truly a reason they say that obesity is the #1 preventable cause of death even though it is almost never noted as the main cause of death. The majority of America is clueless as to the ramifications of being overweight and don’t understand the importance of living a healthy lifestyle. Why Is This Such a Big Secret? Follow The Money! It’s greed at everyone’s expense! Many industries are profiting off unnecessary suffering and illness. Everyone complains about the cost of health care, but what we should be complaining about is the lack of health results in the U.S. and a lack of education and proactive preventative health care. If we cut obesity in half, we would cut our annual health care cost by 1.5 trillion dollars per year! That would result in having the national debt of 20 trillion dollars paid off in 15 years! Do you see a cause of death for obesity on the chart shown below? Of course not! Yet, the number one preventable cause of death is obesity! If Americans don’t see the problem, it’s no wonder the problem continues to get worse! Most Americans don’t even realize that the number one preventable cause of death is being obese or overweight. The parties to blame for this include the U.S. Government, the medical community and the general media. If people actually knew the truth then many would be motivated to do something about it. I don’t know anyone that wants to die 13 years earlier because they are obese and get diabetes, cancer or have a heart attack due to being overweight. You have to wonder about the moral character of these organizations. Maybe our government leaders don’t think your health is important. Americans are dying 10 years earlier than people in Japan. Could it be that some of our politicians are being paid to lobby for the entities creating the health issues? Federal money is virtually non-existent when it comes to health care education. A lot of health costs could be eliminated if we just cut obesity in half. We could actual pay off our national debt in only 15 years. Our media outlets are too busy manufacturing news and consistently miss the biggest story of them all which is the health and well-being of the American public. It could be that the media outlets’ want to stay away from the story since it might hurt their advertising profits. Many of our food suppliers are marketing unhealthy food in our grocery stores. Ever wonder why the printed text on the box is so small? Who’s holding the food manufactures accountable for delivering foods with pesticides, steroids in meat or sugar that is in almost every product to make it taste good? The U.S. medical profession does very little in helping prevent health care issues. The medical community has some amazing technology and medicine but their approach is reactive versus having a preventative focus. They make more money when you are sick versus when you are healthy. No wonder medical expenses are out of control. I’m sure many of you can look back on all your physicals and remember how little preventative conversations occurred with your doctor in regards to your health. Without a doubt, the medical industry has a lot to do with the declining level of health in the U.S. The medical community is great at fixing issues if you have the money. Do you think that the 71% of Americans that are obese are getting counselled by doctors? I’m sure a few are, but most clearly are not. The medical industry should be embarrassed about the rising health issues in this country. The report card of good health clearly does not look good for the medical community! 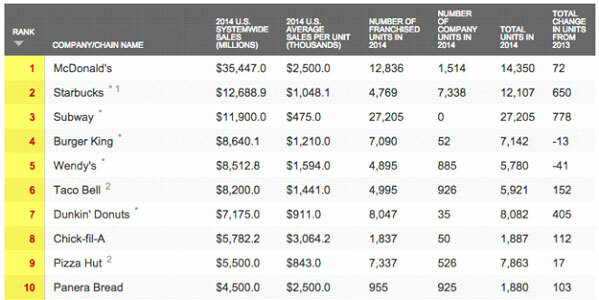 Who’s Profiting Off America’s Poor Health Epidemic? Why are 71% of Americans Either Overweight or Obese? Why did 8 out of the top 10 causes of death increase and how could the United States rank 31st in the world in health and fitness? Believe it or not, the U.S. purchases over 80% of the weight loss products consumed in the world! 300,000 Americans die needlessly each year due to obesity and approximately 700,000 more die from other issues attributed to poor health caused by weight issues. 70% of all adults have been diagnosed with a chronic disease. Could it be that in the U.S. we are focused on the wrong things? We spent 3.8 trillion dollars on medical costs last year so how could we be having these problems? Why isn’t the government, the health care industry and the media focused on preventing illness from actually occurring? It’s a lot cheaper to prevent an illness than to deal with it! Health and Fitness Education is Virtually Nonexistent in America! Very little federal money is allotted each year for health education and I think media outlets are more interested in manufacturing political opinion in the U.S. than they are focused on the health and well-being of Americans. There is no greater news than the tragic health issues occurring right here in America that are resulting in so many unnecessary deaths. From a health issue resolution standpoint, the businesses noted above are more interested in lining their pockets. Obesity will have cost over 300 billion dollars this year and the actual cost is much greater when you include all of the other illnesses that are directly related to being overweight or obese. 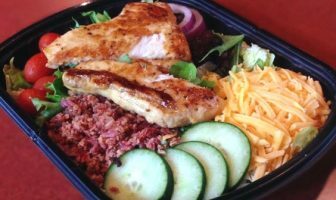 A recent survey revealed that 90% of Americans think they eat healthy. No wonder 71% of Americans are overweight or obese! They are clueless! There is clearly a lack of general awareness as it relates to health and fitness. The average American eats fast food 3 times a week. Any way you cut it, fast food is not healthy and provides very little nutritional Value. Americans are eating huge portions, way too much fat, processed foods along with sweets and sodas. In addition, 80% of Americans do not eat enough fruit and 90% do not eat enough vegetables. Fruits and vegetables promote healthy skin, prevent cancer and allow for proper muscle development and recovery. With a poor diet and 80% of Americans not getting enough physical activity, it is no wonder that the obesity problem is increasing at unprecedented rates. I just learned that a large grocery chain had 54% of its items banned for containing unhealthy ingredients. This goes back to the lack of controls that our government has over grocery stores selling healthy food. The scary part is that under-educated parents are teaching their children how to eat poorly and they are giving them the road map to become obese. Most schools do not even serve healthy items also. Where is the government and the media when it comes to these serious issues? Medical Industry – This may not be what the medical community wants to hear, but their report card is reflected in the poor health results in the United States. The medical community is more of a reaction-based business instead of taking a proactive and preventative approach. They will never speak about this because if people get sick, they make more money. President Obama had designated 6 billion dollars to cancer research instead of allocating these funds to prevent cancer and to educate the public on how to prevent disease and illness through proper diet and exercise. The only people who really benefit from this are the executives and shareholders and some politicians who lobbied on behalf of these companies. This happens all the time! Do you really think the doctors are reading the riot act to 71% of their patients about their weight issues and the potential health risks during their yearly physicals? We all need to expect more from our medical industry. 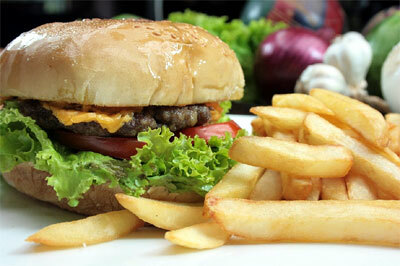 Fast Food – Fast food is getting bigger than ever just like the waistlines of Americans. The average American consumes fast food 3 times per week. Trust me, there’s not much in fast food that is even remotely healthy for the body. This is one of the biggest reasons why the average calorie consumption has increased by over 400 calories per day within the last 20 years. Advertising is constant when it comes to fast food, which is probably the reason the media won’t touch America’s health problem with obesity because they are making way too much money from it! 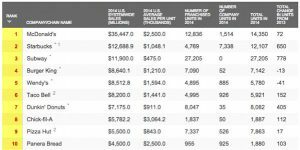 All these groups will be more than happy to continue taking your money and being major contributors in America’s health epidemic! How Can We Change Things in The United States? First and foremost, get educated about health and fitness! With 71% of Americans being overweight, we are obviously missing the boat. 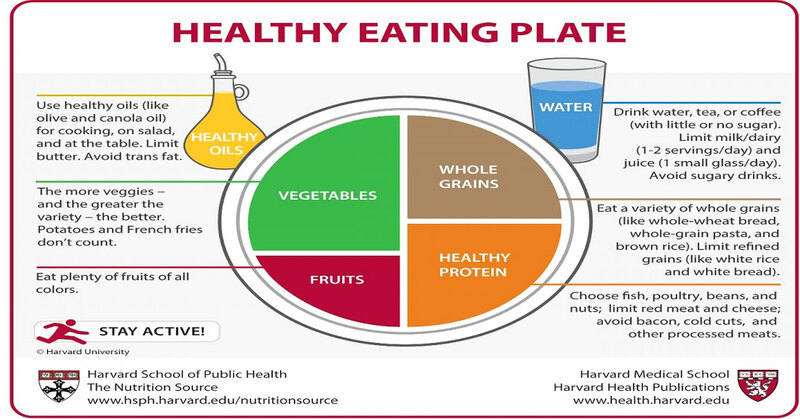 What’s even scarier is a recent survey that revealed that 90% of all Americans think they eat healthy! What we are seeing based on the health and fitness statistics is that there are a bunch of uninformed Americans who eat poorly. 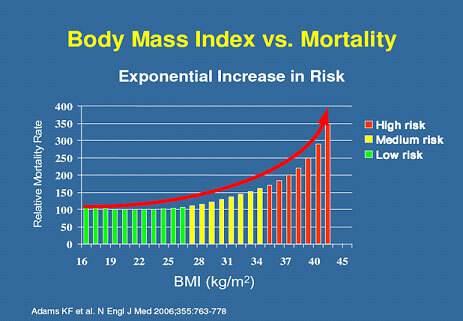 With the climbing obesity rates, within 10 years, the life expectancy for a person will decrease by 5 years. Americans are already living 5 years less than the Japanese, and in 10 years, the Japanese will outlive us by 10 more years. My hope is to heighten awareness within the medical community and to hold the medical community more accountable for the lack of health and fitness results. I want to put things in perspective and point out that their role should not just be to resolve health issues but to partner with their patients in order to help prevent them from occurring in the first place. Secondly, the U.S. government needs to get behind the “Make America Healthy Again” campaign by allocating resources to educate Americans about how to prevent health issues caused by being overweight. Lastly, the media needs to play a role in the educational process as well as being much more involved in reporting the actual issues relating to America’s number one health issue! 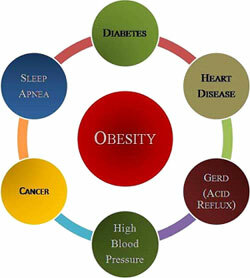 The medical community does not identify obesity and weight loss issues as the number one cause of death. In actuality, most Americans have no idea that obesity and weight loss deaths is the number one cause of death in America. 300,000 obese Americans die each year due to obesity. 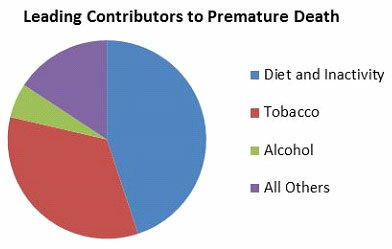 Many more overweight people die to other causes of death. The U.S. ranks #1 in the world for obesity. 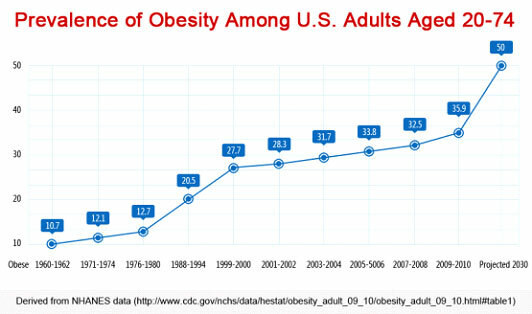 71% of the U.S. population is overweight or obese. Obese and overweight adults live 10 years less than someone of normal weight. Obese children will live approximately 13 years less than a child of normal weight. 8-10 of the top causes of death increased last year in the U.S.
97% of the U.S. does not live a healthy lifestyle. The average American consumes fast food 3 times per week. 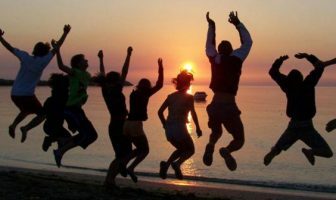 80% of Americans do not get enough exercise each day. Obesity is the number 1 preventable cause of death in the U.S.
Nearly 1/3 of all children are either overweight or obese. More people die from obesity than from smoking cigarettes. 4 out of every 5 people are overweight and only 1 out of 5 people smoke. Most of the health issues noted above are usually a bi-product of being obese or overweight. These facts point to a huge health epidemic that is being hidden from Americans by the U.S. Government, the medical community and media and news outlets. How Can You Turn The Tables and Use This Information To Be Healthier and Live Longer? Exercise Regularly – Utilize a balanced workout plan that incorporates weights, cardio and core exercises. 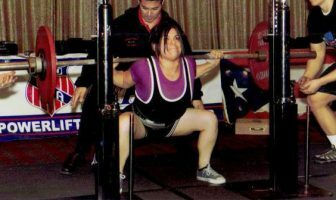 There are plenty of great articles here on ShapeFit.com in regards to fitness. 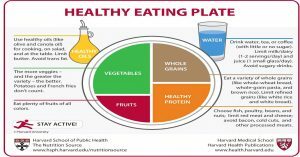 Eat Right – ShapeFit also has nutrition tips about how to eat properly. It’s important to eliminate sugar and cut down on carbs which will help reduce body fat. Focus on lots of veggies and fruits since 97% of Americans don’t eat enough of these key foods. 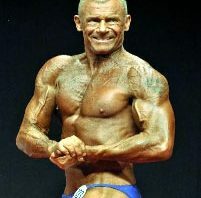 They will help to reduce your risk of cancer and other illnesses. Also, cut down on portion sizes and eat more frequently throughout the day. Be Selective With Your Doctor – If your doctor does not talk to you about your health and provide proactive solutions to health issues, find someone else! Your health is too important! Is your doctor keeping you on the right track to live a long and healthy life? If you’ve found a great doctor that provides honest feedback about your health then you need to hang onto them! If not, then find a another doctor who will provide the services you need. For most Americans, this clearly is not the case since the current U.S. health statistics indicate that people are not getting the support they need. With the U.S. ranking 31st in the world in overall health and fitness and 1st in obesity with 71% of all Americans being overweight, the numbers don’t lie. There is clearly a problem between doctors and patients. 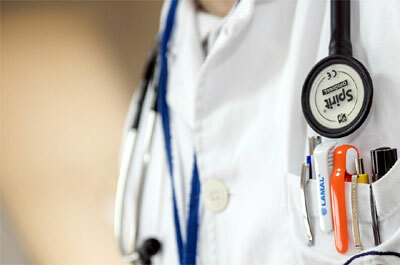 Doctors are either not being upfront with patients about their condition or the risks associated with their condition. Think about it, 70% of U.S. adults have already encountered a catastrophic health issue in their lifetime! Ask yourself, what is your doctor doing to keep you healthy? In all fairness, you need to ask yourself the same thing. Is your doctor proactive or reactive? We need to change our mindset as to what we use the medical community for. Right now, the medical community is focused on addressing medical issues instead of preventing them to begin with. Reacting to health issues is one of the reasons that Americans spend 3.9 trillion dollars a year to stay healthy. Much of these costs are associated with major medical issues that in many cases could have been prevented at a much lower cost and without all the suffering. A qualified doctor who assesses your overall health, helps you resolve your medical issues and provides valuable feedback to key health metrics such as weight and blood work. A balanced workout program consisting of weights, cardio and core exercises. What Makes Up a Qualified Doctor? Someone who is knowledgeable about health. Someone who can identify and proactively address your health issues. Someone who will provide you with honest feedback about your health issues and share solutions. Someone who asks a lot of questions about your health to find solutions to your medical issues and to proactively keep you healthy. 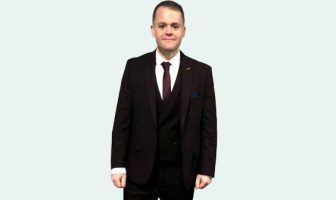 For those of you reading this article who are currently overweight, does your medical doctor identify the risks and health issues associated with being overweight and provide potential solutions? If the answer is no, then I would highly recommend that you find another doctor. 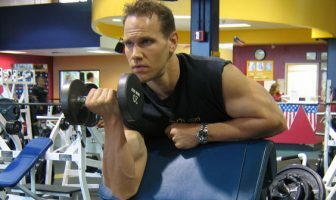 Is your doctor of normal weight and physically fit? To me, this is obvious. If my doctor can’t take care of themselves than how will they take care of me and my family? Some doctors who are overweight may hold back the health impacts of being overweight because they think they are normal or they are embarrassed about the truth. Resolving your health issues is the most important aspect. Does your doctor identify the cause of your issue or do they resolve it through medication? Does your doctor take the initiative to ask you questions about your health? For example, think about the 80% of the male population that is over 50 that is running around with low testosterone and don’t know why they are gaining weight with reduced energy and a decreased libido. Shouldn’t the doctor be taking more initiative in this area? After all, if you have low testosterone levels, you are 88% more likely to die at a younger age. Does your doctor provide you with solutions to your problems or do they just prescribe a pill? If you are sick, how long does it take for you to get an appointment? If you’re sick and it takes two weeks to get an appointment then your medical situation may become even worse. Do your homework. Recommendations from patients are wonderful and give you an idea as to what you can expect. 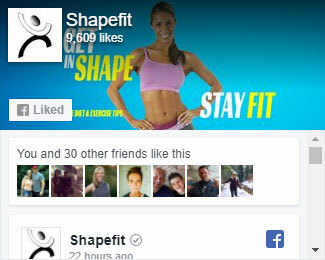 Research online and review websites like ShapeFit.com for quality health and fitness tips. You can never know enough about health and fitness. Each one of us needs to take the initiative to improve our overall health and fitness knowledge. Find the right doctor that takes a proactive approach in keeping you healthy. If you have kids, talk to your school district about healthy school lunches. Contact your local politicians and find out what they are doing to Make America Fit Again.